Unfortunately due to busier time in 9-to-5 job and other things the progress has been a bit slower recently. 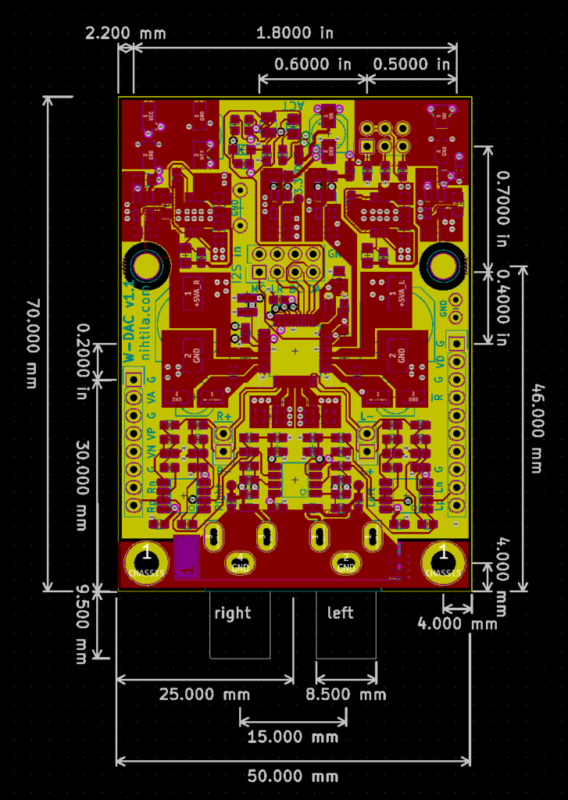 However, new boards are in production and hopefully those will be very close to the final production version. Please find the posts about the initial measurements and the first test board measurements for updates what has happened before. AK4490 performance on the large test board was excellent when using superb LT3042 LDOs. Besides excellent performance, another advantage of LT3042 is that it does not need a large capacitor on VREF. In fact, it may even deteriorate the performance. Downside is the price; especially if using one per channel for optimal PCB layout and performance. For one-off DIY board the price does not matter but as the plan is to make a small batch production run, price is part of the equation. Moreover, optimising the circuit is somewhat interesting – to some extent. I also tried cheaper but still great ADP7118 LDO but the results were not nearly as good. As LT3042 is pricey, I thought I could make two or three different versions where the best (and most expensive) one would use LT3042s. To support that, I needed to find a suitable cheaper LDO for the cheaper model. In addition, I wanted to test the newer and improved (and more expensive, unsurprisingly) AK4493 DAC for possibly even better model. As I was looking for a cheap LDO, I decided to pick a few from TI portfolio. Before I had been looking at Analog (ex Linear) parts but they are overall more expensive – if also better performance. Looking at decent output noise and PSRR, and also paying attention to price and package, I picked LP2992, TPS799, and TPS734. There is no significant difference in idle noise so SNR remains almost identical 120 dBA between LDOs. Besides specifications, the difference between the now tested three LDOs is also that the used LP2992 model is a fixed 5 V LDO while the other two are adjustable. Fixed-voltage models have a bypass pin for a noise reduction capacitor which made huge difference in my tests. Adjustable models do not have this which can make all the difference. In fact, noise is indeed the contributor in the THD+N figures above. For adjustable models noise bypass would require extra components around the voltage-setting resistors. Therefore, this comparison may not have been fair but that does not matter – my pick was LP2992 as it can provide superb performance without extra tweaks. One circuit-level difference to note here is that while LT3042 does not like big output capacitor (as is even stated in the datasheet), LP2992 benefits from one. AK4493 is the successor for AK4490 with slightly higher performance and price tag. It is almost pin compatible but there are a couple of changes so it is not a drop-in compatible. Pin 16 is LDOE (LDO enable); in AK4490 it is DEM1 pin (consequently AK4493 has only one DEM setting pin). If internal LDO is used, bypass capacitor must be provided on pin 1. With external supply this pin is the power input. AK4490 pin 1 is NC. While I have seen -112 dB sometimes in my AK4490 measurements, the best results have been mostly -111 dB. Besides performance being always a system parameter consisting of layout and external components, it is good to remember that these are typical specifications. For example for THD+N typical value is the -112 dB but maximum is -105 dB. Therefore, to really characterise this one would need to measure several devices. In my measurements comparing different LDOs and caps I have used the same device so the differences are comparable. However, here comparing AK4490 and AK4493 using only one device each does not really give comprehensive results. Anyway, I do see difference between these. In fact my THD measurements exceed datasheet specifications so maybe that particular AK4493 was a better than average unit. That amazing THD+N figure is achieved using LT3042. SNR falls slightly short of specification. This may be due to output filter being the bottleneck. Interesting results again. Besides LT3042, LP2992 shows great potential here – especially considering price. However, again these are test board measurements and final performance will be measured on the final application boards. I am really looking forward to those results and hope they will be close to these results! I designed new v1.1 boards for W-Input and W-DAC. Besides the DAC changes there are significant other changes as well which I will cover in another post later on when listing the features. However, due to extra additions the board size is now 70×50 mm instead of 50×50 mm. Layer count remains four. Final performance tests need to be performed on these boards and then decide possible versions. If there is enough distinguishable performance differences, there may be a “budget” and/or “high performance” models besides the standard model. 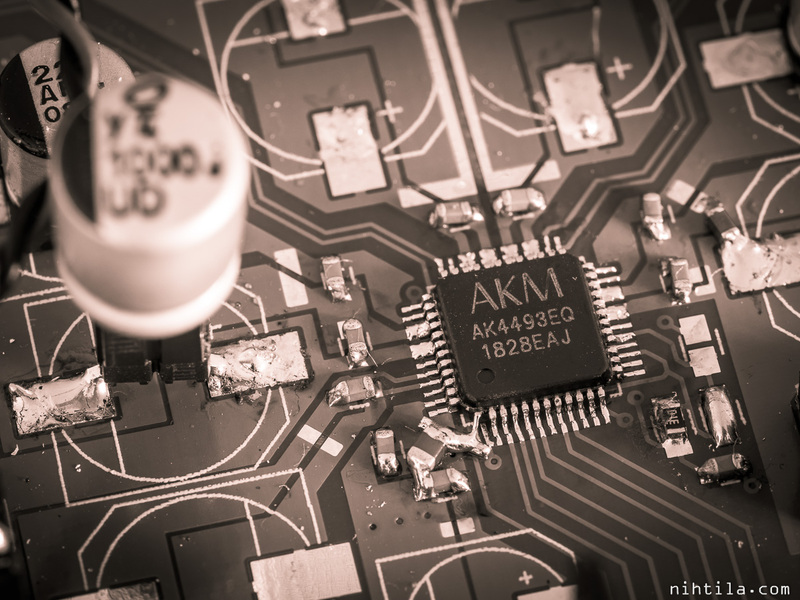 All would use the same PCB, the changes being in the DAC chip, LDOs, and possibly output filters. I never thought that the LDO has such an influence on the THD + N! It seems to be significant at least on these AKM DACs. It is the reference pins that are sensitive to all external stuff. Noise is definitely one important feature of LDO here but there is something else to it as well, and it can be tricky to quantify. But it definitely requires experimentation and measurements if one wants to get everything out of these.